In partnership with the Nature, Art & Habitat Residency (NAHR), Australian Poetry is once again pleased to announce the call-out for this exciting fellowship. 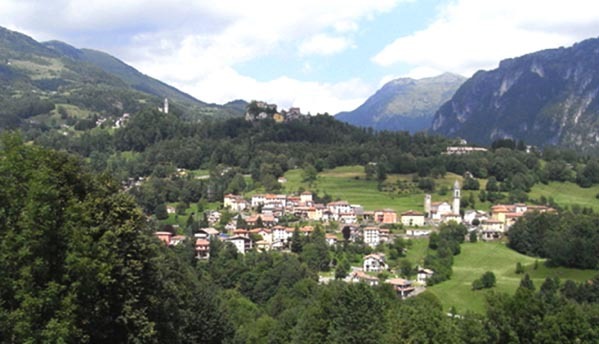 Available exclusively to Australian Poetry subscribers, the Australian Poetry/ NAHR Eco-Poetry Fellowship is to be conferred on a single Australian poet able to take up residency in the village of Sottochiesa, Taleggio Valley, northern Italy, between 30 May-25 June 2019. The selected poet will be one of seven Fellows participating in the 2019 June NAHR residency program; more information can be found here, and applicants are strongly encouraged to read it closely before making their applications. Recipients of the AP/ NAHR Eco-Poetry Fellowship have residency fees waived; however, it remains the responsibility of the winner to make their own way to and from Taleggio, as well as covering the costs of food during the residency. Please note that a requirement is that the work written during the residency must be deposited into NAHR’s archives, as will be done by all other 2019 Fellows. This year, the Fellowship also partners with Plumwood Mountain Journal (ed. Anne Elvey), so the Fellow will have the opportunity to have poems selected for publication from the residency by both Plumwood Mountain and Australian Poetry publications. Alongside a current CV (which will include the contact details of three referees), a one-page statement of personal/creative motivation, and a one-page project proposal outlining creative activities relating to GRASSES and PASTURES: Imagining a Regenerative Economy of Cheese (the theme of NAHR’s 2019 program), those interested in applying for this award are requested to also supply a folio of up to five poems (no more than 200 lines in total) which in some way relate to the 2019 topic.